In my world, there are two different kinds of coffee. One is the kind I set my automatic drip coffee maker to start brewing at 6 in the morning hoping that I’ll smell and eventually crawl out of bed for. My morning wake-me-up! 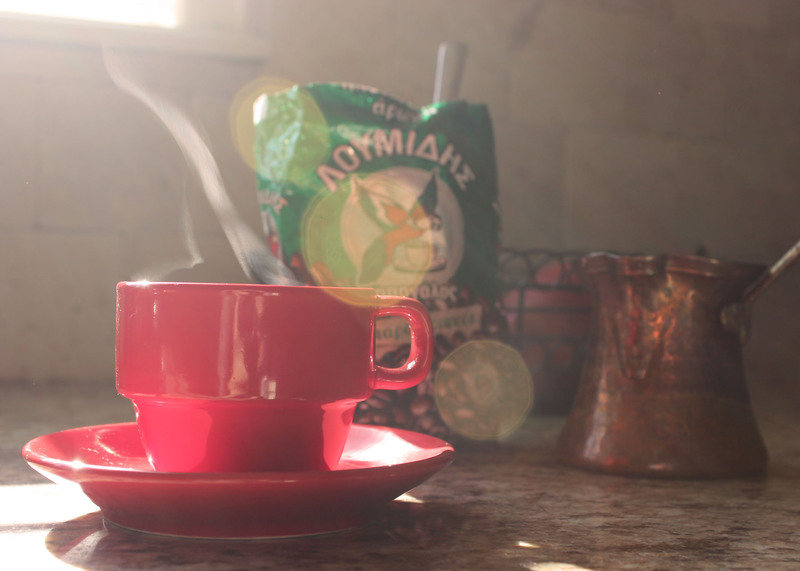 The other is the kind that I slowly sip over good conversation with friends or family: Greek Coffee. Preparing and enjoying traditional Greek coffee is a ritual that forces you to slow down a little bit. Heat it too quickly and it doesn’t come out right. Drink it too fast and you’re done in 2 seconds! When it’s time to slow down, give this a try. . .
Before you get started, you’ll need demitasse cups (usually used for espresso), Greek coffee and a briki—a small pot used to make Greek and Turkish coffee. Measure out two demitasse cups of cold water and pour into your briki. Add honey and then the coffee. Place the briki on your stove over medium to medium-low heat. Gently stir or swirl the mixture just until any clumps of coffee are broken up. As your coffee heats up, it will begin to rise to the top of the briki. 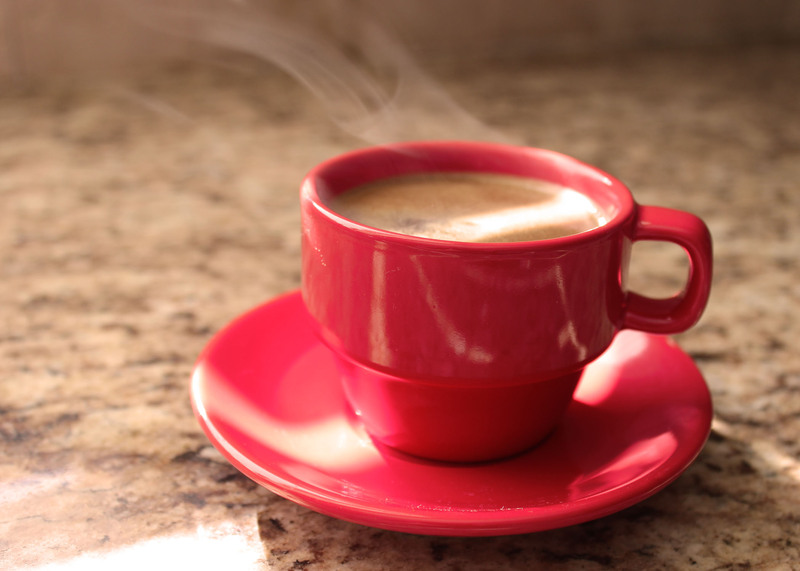 Remove it from the heat before it overflows and pour into 2 demitasse cups. If you end up with a nice layer of foam at the top of your cup, congratulations! This is called kaimaki and it’s the sign of a good cup of Greek coffee. Keep in mind that the grounds have settled at the bottom of the cup. Don’t drink these! This would be the equivalent of me eating the entire edamame pod (rather than just the beans inside) the first time I ordered them at a sushi place. Yeap. An entire bowl. Embarrassing. *Typically, Greek coffee is prepared with sugar, but I prefer honey. Use about equal amounts of coffee and honey for a medium-sweet flavor. You can also add extra honey/sugar for sweet coffee or none at all if you prefer your coffee black. supermarkets. Will check and give it a sip. Thanks Mama! Let me know what you think! I am trying to perfect my Greek coffee brewing skills, here on the island of Crete. Greek is revered for it’s various honey’s, so I am going to try a few varieties. I tried honey this evening in mine, but added it after I made the brew (I came across your post after it was made!). I’m trying to perfect the art of keeping the layer of foam on top while brewing. I’ll get there!